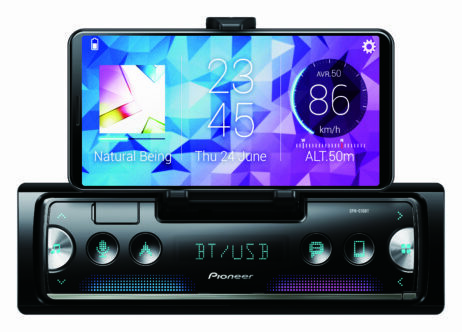 Home / CAR / STEREO / Single Din Head Units / PIONEER SPH-C10BT SMARTPHONE SYNC MULTIMEDIA BLUETOOTH UNIT WITH INTEGRATED CRADLE! The Pioneer SPHC1OBT lets you safely use the features on your smartphone even while driving. Simply download the Pioneer Smart Sync app, place your phone in the Integrated Retractable Cradle, and your phone will transform into an extension of your head unit. With Direct Access Keys, you can use your favourite apps without once touching your phone, helping to ensure a smooth and safe ride wherever you go. Maps, Google Maps or even Waze’M to help get you there! the 31 bands in the curve to create your own custom sound. music at a live concert. Pre-set effects include Stadium, Live House, Hall, and others. 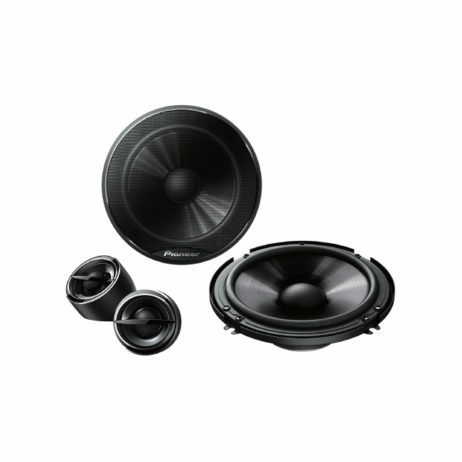 acoustics in an instant by adjusting speaker output timing.